I just love the level of element in character domain customization of making it your domain vs making it only your point and click chore zone. Ah yes, and Camp will indeed have some development. Inter-Minion drama is an interesting add. What I can confirm is that there isn't a feudal system per se (with territory you own and whatnot). The world will be the place for you to pop around to engage in Battles and Quests in, and your Minions will venture to various areas as well to do your Character's bidding. So in the absence of land/territory, how would you have your Minions benefit your Character beyond simple "go-get-the-thing" missions? If inter-minion drama is going to be a thing, an immediate benefit that springs to mind is a 'peacemaker' task. You could have a charismatic minion (if such a thing is measured for them) reduce camp tensions, reducing the possibility of trouble, at the cost of nothing 'productive' getting done. A final idea (and I might be stretching things here) would be for a minion to devote time to creating a luxury for the camp (I'm thinking big, inventive projects here: portable hot bath, more luxurious beds, etc) that increases the appeal of your camp, thus making it easier to attract minions. This could also be extended to other items, spyglasses for better scouting success, an alert horn for defensive bonuses, etc. To add onto this idea, why don't we also give the Minions jobs and create a sort of economy within the camp to interface with other camps? This is my thought here. You will have the skill of Blacksmithing, but this skill is based on the level and mount of Smith minions you possess. Using these minions, you smith something like Iron Sword. This iron sword then becomes available in your Camp Shop from your Shopkeeper minions, who other people can also buy items from. 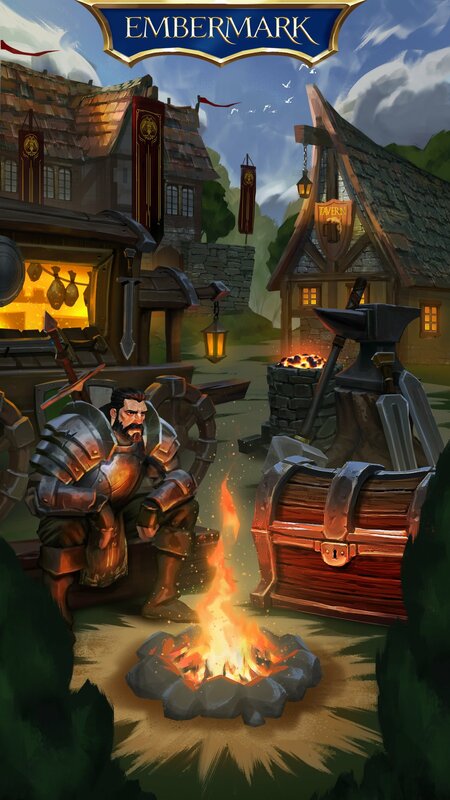 When money is spent at the shop, it's added to the Camp Treasury(Separate from Player Gold) And Camp Treasury gold can be used for things like training better minions, buying more minions, upgrading merchandise in shops, and buying specialty missions potentially. In essence, this idea is to create a circle of you do something in order to make an item, that item once it's made, is available in the shop permanently. So if you make it before others or they don't know how, you encourage people to buy from you. And if not, you buying puts money in treasury to improve the minions, camp, and quests. Then, use things found in quests and stuff to improve the camp, and the camp stuff to improve you. 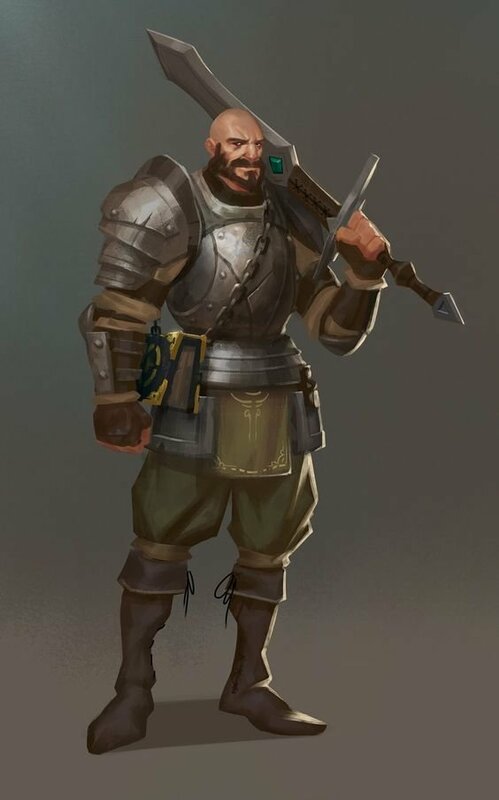 Is your camp missing a blacksmith and you no longer feel you need your alchemist? Trade him over to someone else and voila, player interaction. Is there a limit on the number of minions? i would have my minions do the following..
scribe to keep/record of achievements and fill the book with new discoveries. The Leader Minions. Amount and level increase total minion count, max levels of minions, and what kinds of minions you have access to. But is the leader minion is surely me, no? I'd hate to be one of those royals who does nothing. I'm thinking the Leader Minions would be more like the Mayors of Minionville, and you are the President. They manage the day to day of the minion population and are where all minion related stuff is interfaced to you, the player. @Drakythe first: I love all of that-- but let's tweak the thing you said about a minion having effects on camp tensions or forewarning about attacks-- since the camp won't generate "stuff" like a sim game or an empire building game, it's all focused on your Character, your hero, your Paragon (cue awesome music). So the function of the minion is to get stuff for the Character, do stuff for the Character or improve the Camp's environs in such a way as to benefit the Character. Your idea about the minion creating a Camp that will attract more is right on-- an interesting angle that we'll talk about as we work through how you "get" them into your service. that kind of thing ? @helpicantfly, well yes and no. Yes that those types of things would be done, but no in that the type of minion will determine what they can do and whether they'll be any good at it. And you'll have to manage their success. That make sense? Hey @Xeru, apologies on needing the fist bump. You can count on many different types of followers showing up to do your bidding, and I'll get into detail in an upcoming Game Dev Update. The idea for creating an economy across camps is an interesting one, though it's not in scope for this first round. BUT you will definitely be affecting your own Character's chances for success and gaining crucial items, information and leads to Quests from your followers which will send you in many different directions. Your examples of types is spot on, though. They will have strengths and weaknesses and be more or less suited to the missions that become available for them to go on for you. That's gorgeous! I'll be honest, I get abit of a solid infinity blade/dark souls vibe, but with multiplayer added in. Huh,... Is there a way you can make monster classes, say if someone wants to be something other than a human? you mean cuz we exaggerated them, @Musashi ? where is the book in the picture ? thanks crier @Darggie for above picture .